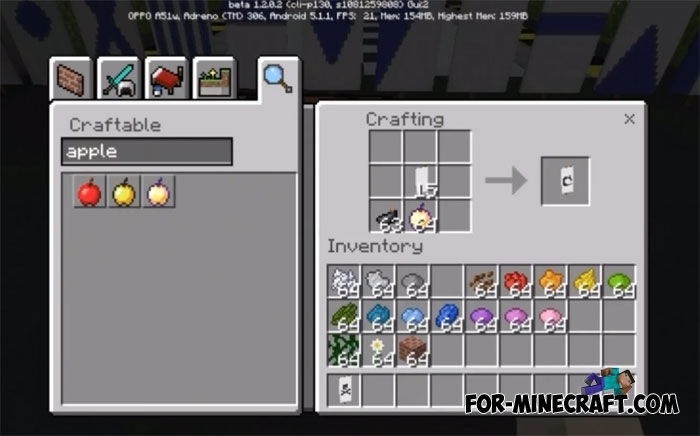 Look at the recent Minecraft PE 1.2 update if you still do not know about it. In that article, you can see the change list containing a lot of interesting features, one of which are banners. This is a special canvas for images that displays the pattern, flag or image that you create. Banners are very useful for decorating buildings and are more functional than simple pictures. You will appear among the ready banners in this map. This is a great place to understand how a beautiful banner can look. Remember the banner you like and try to copy it with dyes. There are many variations of what a banner can be. 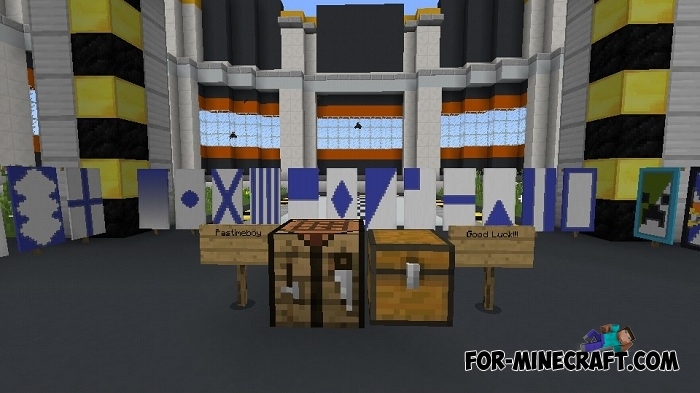 Canvas Textures (Minecraft PE 1.1)If you need global changes in the appearance of the game, then you will need textures with very high resolution..